I live with 5 boys. They are dirty. Anything I can get away with throwing in the washer, I throw in the washer. Toys, stuffed animals, shoes, coats, etc. Unfortunately, you can’t just throw your mattress in the washing machine. As often as we wash our sheets, it doesn’t stop the fact that our mattress is still, umm, less than clean. 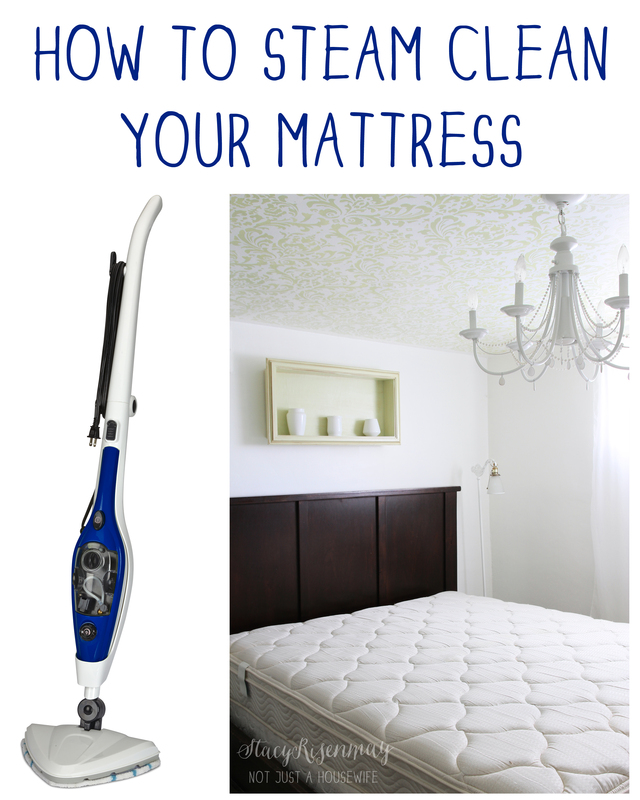 Never fear, my favorite cleaning tool is here to rescue your mattress. This SteamMachine Plus is my favorite steam machine/mop I have ever had. The fact that the inside part comes out and becomes a hand held steamer rocks my world. I no longer iron. The steamer is faster (and way more fun) than ironing and does a better job. I wrote another post about the most common ways I use it. I have since added steaming my mattresses to the list as well. I vacuumed my mattress really well first. Then I filled my SteamMachine with water and let it heat up. It takes just seconds! Make sure you have the carpet glide attachment (the black snap on part). Then just slowly go over your mattress in the same way you would vacuum a floor. Your mattress may be slightly damp when you are done, but it drys quickly. When I steam my rugs I use the mopping pad as well. For the mattress I didn’t use it. I just attached the black carpet glide. I think it is fine either way. I did all four of my boys’ mattresses about 2 weeks ago and I just got around to doing mine this week. Fall cleaning is going to have to be in small spurts this year. Writing a book is no joke! It has been hard to fit everything in every day. Luckily, steaming my mattress took all of 10 minutes. Do you want to get your Fall cleaning on? Enter below to win a SteamMachine Plus!!! *Must be 18 years or older and a resident of the USA to enter. Giveaway runs from September 5th until September11th. The winner will be chosen randomly by random.org. The winner will have 48 hours to respond or a new winner will be chosen. 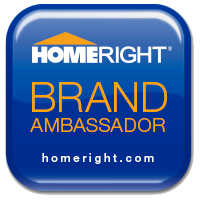 The company supplying the prize (in this case HomeRight) is responsible for the shipping of the prize. I was compensated for this post but the ideas, comments, and opinions are all mine baby! Who said motherhood isn’t glamorous??? 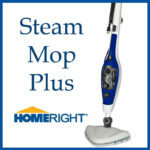 Black And Decker Steam Mop Giveaway!!!! Let’s Get Our Spring Cleaning On! The grout in my tiles!!!!! I’d clean our couch! With kiddos in the house, that poor thing just can’t stay clean. I would clean my kitchen floor especially the grout. I would clean the ceramic tile first! First thing I thought about was how yucky my ceramic tile floor in the dining room can get with 4 little girls in the house! I would use it on my floors. Would love try it on my kitchen floors! My sofas are in desperate need of cleaning! Most definitely clean the ceramic tiles in all the bathrooms. i would clean our bed mattresses for sure ! :) i really want this! The grout on our tile floors!!! Thanks for the giveaway! All of our floors. Maybe the windows. Can you steam clean siding with this thing? What about a bird cage? Litterboxes? My floors! Especially my boy’s bathroom floor. Yuck. I always start from the back of the house and usually get one room totally done in 2 to 3 days. We’re about to move into a new home in Hawaii. I would love to be able to steam clean the floors and refresh my furniture and mattresses after their long journey! I would love to try it on my tile! I would start with the shower tile. I would love that for my mattress! 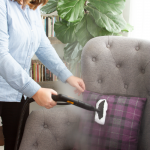 I love the idea of cleaning with a steam cleaner because you eliminate the need for toxic chemical cleaning products! I’m all about a clean healthy happy home! Thanks for providing this awesome giveaway! I didn’t even know steaming your mattress was possible! I’d try that first! 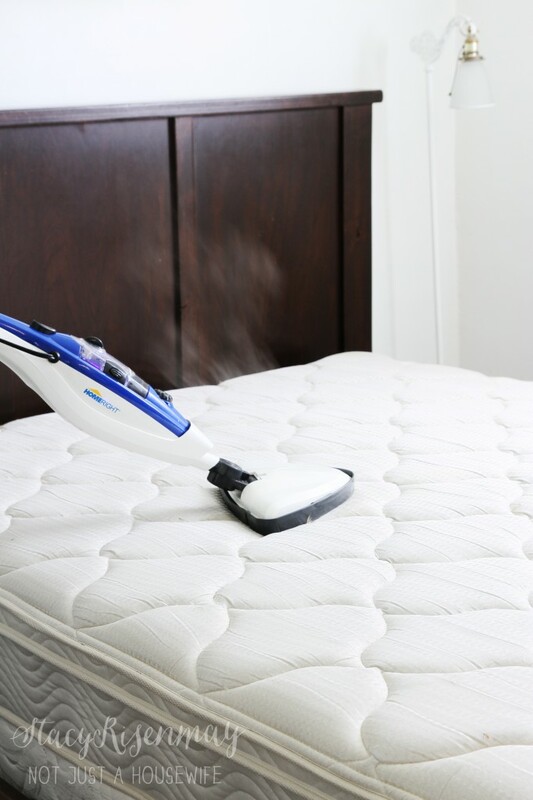 I love the idea of steam cleaning a mattress! Even with sheets and a mattress pad, I’m sure stuff (that I don’t want to think about) gets through. I would start with my kitchen floor and keep right on going. The mattress idea is great. I would start in the kitchen and work my way around to every steam-able surface! I would tackle my bathroom and the kitty cat area!!! I would clean my couch first! I would for sure try to do our matteress. never in the world thought ya could steam clean them. always knew the sofa could/ but not this!! I desperately need to clean my mattress! I would clean my kitchen floor. I steam clean my bathroom floors! I have a potty training toddler… The couch and floors! I have dogs and they are dirty too! Would LOVE this! I would clean our hardwood floors! Fingers crossed I win! I want to clean our kitchen and bathroom floors with it! I would go for our micro-suede couch first!! I would love to tackle my kitchen floors first. After they are sparkling clean, I would want to follow your fantastic advice and clean all of our beds. Hmm, I wonder if I could clean up the couch? A SteamMachine Plus would make housework so much easier. I would clean my mattress. I never knew you could use a steamer for that. What a great idea! I think I’d clean my mattresses first for sure! I would definitely clean the mattresses first! I’d steam my mattress, tile, wood floors and ALLLL my ironing!! Would be great to keep up with the tile in my kitchen! Our couch would be first on the list! I can hear it cry a little every time our toddler spills yet another liquid on the poor thing…. my floors and the mattress sounds like a great idea too! thanks for this awesome opportunity! I would clean my shower/tub tile. The whole bathroom, in fact! Thanks for sharing the mattress tip, that’s going on my list, too! My mattress! I have been dying to clean it but couldn’t figure out a good way to–until now! Oh my gosh where to begin!!!!!! I would start with my tile floors. I would most definitely clean my mattresses too!! I would use this to clean my hardwood floors in my kitchen first. This looks awesome! HOW AWESOME! I would have to say that I would definitely clean all of our tile flooring and then do mattresses next!! I shudder to think of how yucky they are! 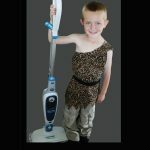 I would love to clean my laminate floors! I have 3 big dogs! Most definitely I would clean my mattress first!!! Hope it would save me from having to buy a new one. I would love it to clean my floors with!!! After this great post, I think I would have to steam our mattresses. I would clean the mattress I had to put in storage, right away! My first thought was the kitchen/bathroom floors, but now I say my mattress. Love to clean the rugs first. Definitely clean my oven first but I never thought about the mattress, it will be second. I would clean the couch first! We just bought our first house so the first thing I’d clean is…everything! The nasty tile in my rental! It’s just like the floors were at Hogi Yogi. Please, oh please! I would clean the five mattresses in our house and then the couch cushions!! Ooo I’d definitely get after my couches first! I’d start with our tiled basement floor and work my way up! the kids chairs! they are a hot mess and i have been dying to clean them but i dont have the proper tools! I would clean my bathroom top to bottom! Without a doubt the couch! My mattresses and the bathroom floor! I would clean my kitchen floors! With 2 dogs they are always dirty! I would clean the kitchen floor. I do our mattresses … great idea. 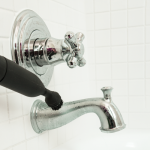 I would love to win this to use in my bathroom… thanks for the chance to win! I’d probably start with the tile floors in my bathrooms. 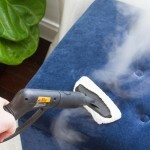 I never realized that you can use these steam cleaners on mattresses, too. That would probably be next on my list. Thanks so much for the chance to win such a great prize! I would definitely clean my mattress as well. Who knew? Omgosh! So much! Mattresses for sure. Tile in kitchen and bathrooms. 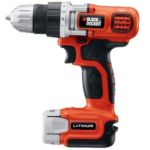 I am now convinced that I cannot possibly live without this amazing tool! I would first clean my hardwood floor in the kitchen. Shower grout and then carpeting! I would clean the chairs in the dining room. I did clean our mattress first. My white couches, ouch ! Definitely the kitchen grout ! I would definitely tackle my families mattresses and then the bathroom shower walls..yuck..lol.. The kids bathroom would be my first stop. I would definitely clean my mattress first. I have never cleaned it since I got it 3 years ago! Hi i just subscribed to follow! I found you through Southern Hospitality.I LOVE the color of paint in the picture on SouthernHospitality ,a very pale tan ,there is a card catalog and lamp also in the picture.This is the exact color I have been looking for but can never find a sample card close to it.Could you PLEAS let me know what it is? Thanks a bunch! Definitely the floors! We just moved into a new home, and it seems like every time I turn around, I find something else to clean in here. I would do the same! What great idea to clean your mattresses for fall. Tile in my entry way! I would clean the tile floor in my bathrooms and then give my mattresses a good cleaning. My son’s room!! then the bathrooms, mattress, kitchen…. After seeing this I want to clean everything in my house! I would use the handheld to clean my cornice box, which is cloth covered and mounted above my windows. I have really been wanted a steam mop so bad. I would use it most in our kitchen/breakfast room area. We have 1 cat and 3 dogs and you can imagine the little footprints. I am so happy to learn that this is your favorite and it’s reasonably priced as well. Thanks so much for the opportunity to win this wonderful steam mop. I have really been wanting a steam mop so bad. I would use it most in our kitchen/breakfast room area. We have 1 cat and 3 dogs and you can imagine the little footprints. I am so happy to learn that this is your favorite and it’s reasonably priced as well. I steam clean everything including my fireplace hearth and then follow that up with some floor wax. It takes the black soot off of the brick and the mortar and then the floor was brings out the colors in the brick. It looks fantastic. The kitchen floor. So gross! What wouldn’t I steam clean! There is so much, I would start with the mattress, the floors and carpet, it would be amazing to win one. I would steam clean the carpets first! We live in a rental and the carpets are cheap and pretty gross! Thank you! Boy could I use one of these! First would be my mattress and then every floor in the house! The wood floors in my 1870’s house. Would love to try it on my bathroom tile! Oh, I have some mattresses that could use a cleaning. Thanks for the opportunity to enter. I’m trying to find a way to clean my memory foam mattress. I hope this is it! I would love to clean my sofa bed in the living room. I would clean our kitchen and bathroom tile. There’s no way mopping gets it clean enough, especially now that I’m potty training our toddler. i think i would try this on our carpet first. thanks! My kitchen and bathroom floors… Then onto my shower stall! I’d love to clean my kitchen floors first! I would clean my kitchen floor first. I would clean my mattress first. I have a cat who has the habit of puking on my bed, and she has a knack for doing it when the sheets are off. If I could get those stains out I would be really happy. I would clean the window tracks on all of our windows. They have problems with either mold growing in them or just getting really dirty and the way they are made makes it really hard to get almost any kind of brush down inside to clean them. Hitting the final last two months of pregnancy has me in a frantic nesting phase (happens every time), and this little handy steamer looks like just the tool I need! I’ve often wished to buy a floor steamer as it’s non-toxic and only requires water, to clean everything from mattresses to curtains. Bonus: less bending over!! Hello, I would love to do my mattresses too. Last week I rented the rug doctor and spent two days cleaning rugs, furniture and the cars, I was meaning to do the mattresses but I was exhausted and run out of time. Thanks for a great giveaway! I’d start with the ceramic tile in the kitchen & bathroom. I’d steam clean my living room furniture first, then mattresses and carpet. I love to steam clean. Just need a new steamer. Mine died. I’d steam all of our mattresses first! My floor! Would love to win this! I would clean my kitchen floors. Our white kitchen chairs – definitely an ill advised pre-kids purchase! I would first clean my kitchen floor, they really need a good cleaning. Could you add a few drops of lavender essential oil to the water in the steamer for a nice scent or should I not do that? Thanks for sharing, i will try with my new steam cleaner.